After its rediscovery in 1417, Lucretius’s Epicurean didactic poem De Rerum Natura (On the Nature of Things) threatened to supply radicals and atheists with the one weapon unbelief had lacked in the Middle Ages: good answers. Scholars could now challenge Christian patterns of thought by employing the theory of atomistic physics, a sophisticated system that explained natural phenomena without appeal to divine participation, and argued powerfully against the immortality of the soul, the afterlife, and a creator God. 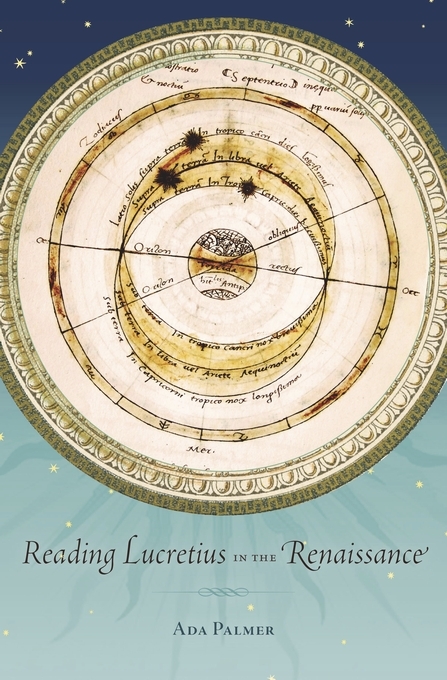 In Reading Lucretius in the Renaissance, Ada Palmer explores how Renaissance readers, such as Machiavelli, Pomponio Leto, and Montaigne, actually ingested and disseminated Lucretius, and the ways in which this process of reading transformed modern thought. She uncovers humanist methods for reconciling Christian and pagan philosophy, and shows how ideas of emergent order and natural selection, so critical to our current thinking, became embedded in Europe’s intellectual landscape before the seventeenth century. This heterodoxy circulated in the premodern world, not on the conspicuous stage of heresy trials and public debates, but in the classrooms, libraries, studies, and bookshops where quiet scholars met the ideas that would soon transform the world. Renaissance readers—poets and philologists rather than scientists—were moved by their love of classical literature to rescue Lucretius and his atomism, thereby injecting his theories back into scientific discourse. Review of Reading Lucretius in the Renaissance Antony D’Elia The American Historical Review.